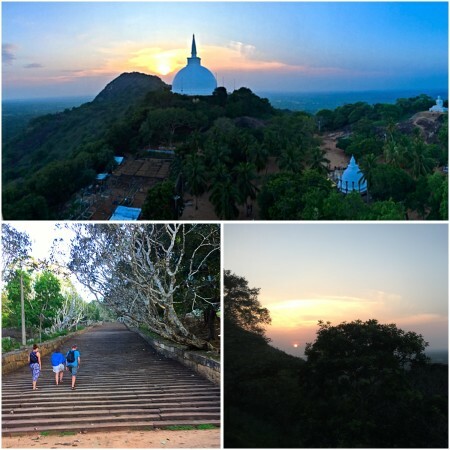 Since we arrived the girls and me have been waiting for a evening to go to Mihintale, a small mountain peak 10km outside of Anuradhapura. This evening finally it was still sunny when placement finished so we rushed back to change and grab a tuktuk there. We climbed the 1840 steps to the top view point and watched the sunset over the adjacent stoopa. It was so beautiful. To be able to finish placement and travel only half an hour to watch the sunset was amazing. A breath of fresh air from the rain we have been having!